Eugene reveals the true nature of his role in the group. Since we don't read the comics. We were really not 100% sure of Eugene's magical cure. But we were holding out some hope. So was the rest of the group. We also got some much needed back-story to Abraham and how he became attached to Eugene. 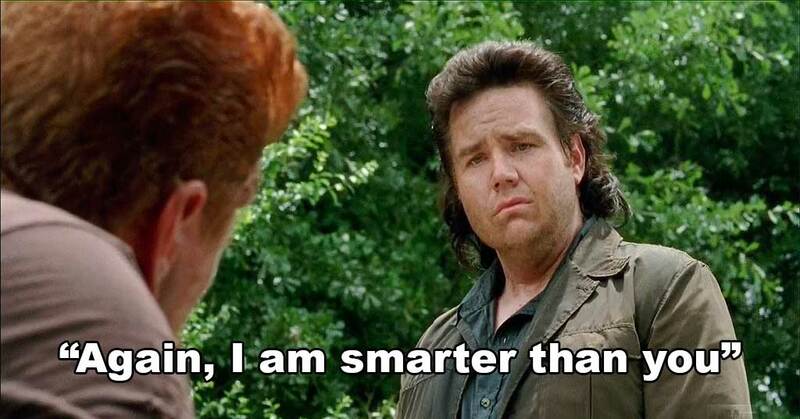 It's not explained clearly in the show, but we learn that Abraham ends up killing some people he thought he could trust because they raped his wife. This episode is worth a re-watch after Eugene's revelation. Many scenes with Eugene take on a different light with that in mind. “Just look at the flowers Eugene” I had a feeling he was a fraud. He is very smart though without a doubt but he has no backbone. His ability to think fast may just redeem him unless he is dead already. I feel mixed about his character. On one hand I hate how manipulative he was to Abraham, on the other hand I feel sorry for him and realize that he only did that to survive. I think his character could still be a very valuable asset to the group. He has a strong intellect which in the apocalypse can be just as important as a good weapon or strong arm. stay strong, Abraham. Easier said-I know.